In many jurisdictions, non-compete agreements contained within a shareholder's agreement are evaluated under a much less stringent rule-of-reason analysis. The idea here is that those who have an equity stake in a venture need to secure the loyalty of those similarly situated to themselves. It goes without saying there is a much lower likelihood that a shareholder-employee will be tricked into making a desperate decision only to be shackled later on under circumstances that seem manifestly unfair. But in Lampman v. DeWolff, Boberg & Associates, the Fourth Circuit (applying South Carolina law) did not give any deference to a non-compete covenant contained in a shareholder's agreement and found that its overbroad provisions rendered it unenforceable as a matter of law. "Competition shall mean...serving in any capacity, job or function...for any Person that analyzes, designs, modifies, and implements management systems to improve productivity, quality, service and capacity levels that generates quantifiable financial savings, and where such services are competitive with or similar to those that such Shareholder rendered during his employment with [DBA]." The covenant also contained a non-exclusive list of competitors to whom the covenant specifically applied. 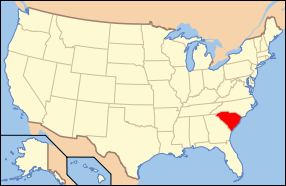 Along with the lack of any geographic restriction, the italicized phrases gave the court grounds to strike the covenant as unreasonable under South Carolina law. By virtue of that state's strict blue-pencil doctrine, modification was not possible. The court gave an example of where the covenant would bar Lampman from performing consulting services outside any geographic area where DBA served clients. This in and of itself probably doomed the agreement. Secondarily, though, the court noted where the covenant prevented Lampman from working for many entities that do not compete in the same marketplace as DBA. In particular, the use of "indirect" competition and the bar on providing "similar" services yielded absurd results. For instance, Lampman could not go work as an employee at Ford Motor if he was charged with analyzing its management operating systems and developing a model for internal cost savings. This example, the court found, highlighted how the covenant went far beyond preventing direct competition with DBA. It was not clear from the opinion whether DBA sought to prevent Lampman's employment or merely recoup dividends paid to him after his departure but prior to the time his shares were redeemed pursuant to the shareholder's agreement. But that is not material. Practitioners in states like South Carolina must be scrupulous in examining the language of non-compete covenants in all types of agreements for any indicia of overbreadth. It is best to use hypotheticals and examples to determine whether any non-competitive activity is inadvertently included within the restriction. And using phrases such as "directly or indirectly" or "similar to" or "in any capacity" almost always invites a challenge from an aggrieved employee on grounds of overbreadth. Finally, the court in Lampman never discussed whether a less stringent standard of reasonableness should have applied because the covenant was contained in a shareholder's agreement. Had it done so, the outcome may have been different.